We have new equipment with classes and personal training that is designed to get results faster. Information about joining and membership fees are available on our Membership page. For advice on healthy living, injury rehab, recipes, weight loss, workouts and motivational advice. The three reasons why people fail with exercise are lack of time, lack of results and boredom. Our trainers will help you overcome these obstacle with ease. I became interested in fitness at an early age through my father who was a PT in the Army and also a Karate instructor. I started Karate at the age of 5 and I also became an accomplisted Thai boxer, winning a number of Scottish titles. After I had finished competing, I enjoyed being an instructor in Mixed Martial Arts. I also enjoy downhill mountain biking, surfing, and wake boarding. I have worked in the fitness industry for 22 years, and at Western for over 16 years as a fitness instructor/personal trainer and gym manager. On a day-to-day basis, I look after the gym, deal with membership enquiries, deliver inductions, and design programmes for members. I also tend to be the Mr Fix-it around the place! I love working at Western. It has become more than a job for me and over the years many of the members have become good friends. We pride ourselves in the friendly, comfortable atmosphere that we have created. I look forward to seeing you for a workout soon. I have worked and studied in the fitness industry for 15 years, covering a wide range of roles (Personal Trainer, Gym Manager, Cardiac Rehabilitation Instructor & Master Trainer). This experience led met to develop The Get Results Customised Fitness Program. Through our programs we aim to empower and educate our members to lead a healthier well balanced lifestyle. I am very passionate about supporting others to improve their health and well being as I believe optimal health is the number one most important thing in life. Without it we cannot enjoy our families, careers or wealth. I genuinely want to change the experience many people have had with dieting and exercising. Many people start out on diets or join fitness clubs only to receive very poor advice and service causing them to get little to no results or only achieve short term success. We aim to address this issue by committing fully to each and every one of our member’s needs and ensuring we do everything we possibly can to help them achieve their optimal health and body shape. My fitness background comes from playing football, then venturing into Olympic triathlon distance races and marathons. I now like to take a holistic approach to fitness aiming to be efficient in movement and thriving in health. I've been in the sports & fitness industry at various levels of performance, training & coaching since my childhood. My father was a professional baseball player, so I was into sports from the time I could walk. Growing up in the U.S. & Germany, I played baseball, American football, basketball, track & field (athletics), as well as extreme sports such as skateboarding, snowboarding & surfing. I began taking fitness seriously in my early 20s, spending hours in the gym bodybuilding. My growing interest in sports sciences led me to pursue bodybuilding for a short time (a typical young man's obsession with bigger is better!). Ultimately, this led to me becoming a fitness trainer with LA Fitness and 24 Hour Fitness in Southern California; working with clients across the age & gender spectrum. In 2002, I had the opportunity to participate in the strength & conditioning development for a number of Team GB athletes during their Spring training in Orange County, California. I worked primarily with 100m & 200m sprinters, high jumpers & long jumpers, and pole vaulters. How did this help your own fitness training & knowledge, you ask? I'm still coaching & consulting with one of the ex-British Olympic athletes and her developing young team. We are in the process of developing a fitness training program for young athletes here in Glasgow. You may catch us training in the gym when she's up here from London. During my time in Glasgow I've been an adjunct teacher for a graduate studies program in Leadership Development, the minister of a local church, a model, and I've earned a degree in Counselling, but I've always been committed to my first love - fitness training! I currently train at several gyms including the Western Health Club and the Glasgow Uni gym, as well as providing in-home & online personal training if clients prefer it. I customise fitness & nutrition programs for each individual client according to their needs and fitness goals. Owner/Coach of Inspire Fitness and Personal Training. Throughout my life I had always been an active participant in Health, Nutrition and Fitness, however it became a real struggle to fit it all in with my second pregnancy with twins. A painful pregnancy, complicated birth, insane lack of sleep and a poorly twin baby all made it difficult to make time to prepare and eat nutritious food and make time for exercise with the result being weight gain and loss of confidence. I didn't feel like me anymore. I was tired, unfit, I wasn't moving well, my clothes were tight, and I felt like I had lost my mojo! In addition, when I looked in the mirror I didn't much like what I saw and I had no idea how to make my way back to me again. I embarked on a journey with a Personal Trainer and realised the value and benefit of a specific exercise and nutrition programme. With their motivation and guidance of what to do out with the gym I regained my figure, my mojo, (my pelvic floor!) and my confidence. It was such a positive experience that a few years later I felt Inspired to start a new career in the Health and Fitness Industry and help others. So, I took a leap of faith and started to carve a new career path for myself. I can empathise with the pressures and constant juggling of work, caring for others and home life and how frequently we put ourselves at the bottom of the priority list. The good news is that it is entirely possible to transform your shape through nutrition and exercise, so that you are leaner, stronger, fitter and move better. Maybe you want to tone up, find your figure again, rock your swimsuit on the beach, look amazing in your wedding dress, get back into those jeans again, have the energy to play with your kids or even grandkids, or just feel better about the way you see yourself. We will take the journey together in small manageable steps so that it's sustainable and you get results that last, even when life gets tough. And we can have some fun and laughs along the way too! Deciding to become a Personal Trainer and Coach was one of the best decisions I have ever made. Helping people feel great about their bodies, gain confidence and self-belief gives me enormous satisfaction. I look forward to helping you feel great about your body! And now for the boring section! I am a Certified Level 3 Personal Trainer with additional accreditations in Kettlebells, Circuits, Suspended Movement, Pre and Post Natal Exercise Design and also a licensed Spinning® Instructor and Boxercise® Instructor. In addition to exercise qualifications, I am also a Precision Nutrition Level 1 Coach with a Qualification in The Essentials of Sport and Exercise Nutrition. I have various education affiliations and continue to invest my time and £1000's of income every year in the pursuit of self development so that I can provide the best level of education and service to my clients. This year I am currently undertaking an Advanced CPD in Post Natal Assessment, Core Restore and Functional Exercise Programming through Burrell Education. 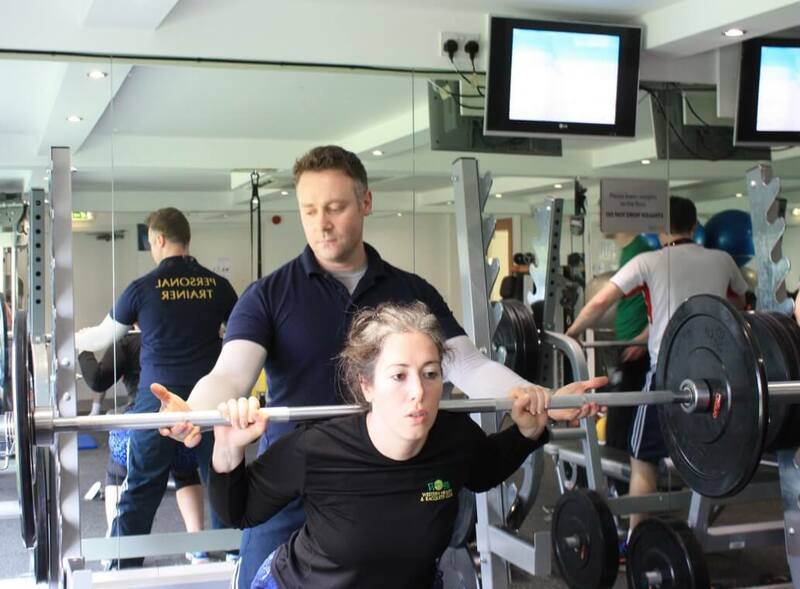 Mairead is the face behind Mai Personal Training. She has established 10 years of experience, working at Western from the age of 18 as a fitness instructor and also at various other commercial and private gyms around Glasgow. She loves working at Western. "There is a friendly, community vibe and someone is always around to welcome you"
She seeks to deliver the Best Possible Health and Fitness Version of individual clients by building trusting and honest relationships. The Consultation involves planning S.M.A.R.T Targets suitable to the client's needs and wants. "Being healthy and fit has always been a major part of my life. It has been one of my main priorities, week in week out. I have gained awards at national dance competitions from a young age and it was from then onwards when strength and conditioning became a positive influence throughout my life." "I enjoy being a mentor and take great joy and achievement through seeing good results"
Mai Personal Training has worked with many different clients, some of professional standards (Scottish Premier League and Scottish Rocks Basketball) and others who needed to start from the very basic principles of gym technique. "The older you get the easier it is to trick yourself into thinking it's harder to motivate yourself physically. Lifting weights is often pursued as for those who are avid gym go-ers or who have years of gym experience. 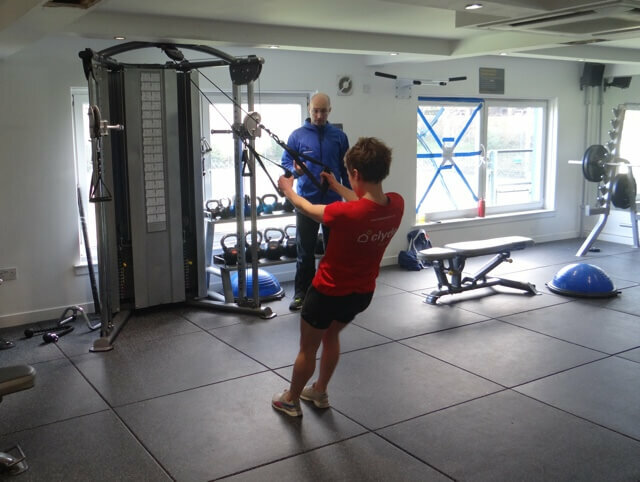 Mai Personal Training can help change your perception and mindset of this and guide you into a lifestyle of feeling fit, regardless of your age." "I look forward to training you"
I am an enthusiastic, self-motivated Personal Trainer (PT) and Development Coach, driven by a passion for the health, fitness and wellness industry. Being a former professional dancer / senior level practitioner over many years in the London Arts scene has allowed me to fuse training systems together to create my own unique style in the fitness industry. They intertwine current fitness exercise, dance based techniques and methods for flexibility, strength and power. My personal fitness goals are constantly changing and my belief in consistency, taking steps big or small had been proven through my own weight loss journey and recovering from a shoulder stabilisation surgery last year. This journey has influenced my current Continuing Professional Development, as I am completing my Diploma in Exercise Referral. This has enriched my knowledge base of providing clear safe solutions and support for low risk medical conditions. I love and enjoy a well-rounded approach to training, kettle bells, gym machine, body weight exercises, running and movement. I adapt these for a personalised approach to you the client! As a qualified PT, I can provide nutritional advice as an important part of the Get Fit /Wellness approach. This will be discussed during a free 30-minute consultation setting specific and measurable fitness goals. I am proactive in maintaining my wellness lifestyle for a fitter future. I now want to keep you motivated whatever stage you're at and to start feeling the benefits of a healthier mind, body and soul. Motivation through being daring, trying new exercise, pushing yourself out of the comfort zone is a process we do together and I am here to add drive to the mix! Call on 078070 22179 to chat and create a bespoke wellness package now. 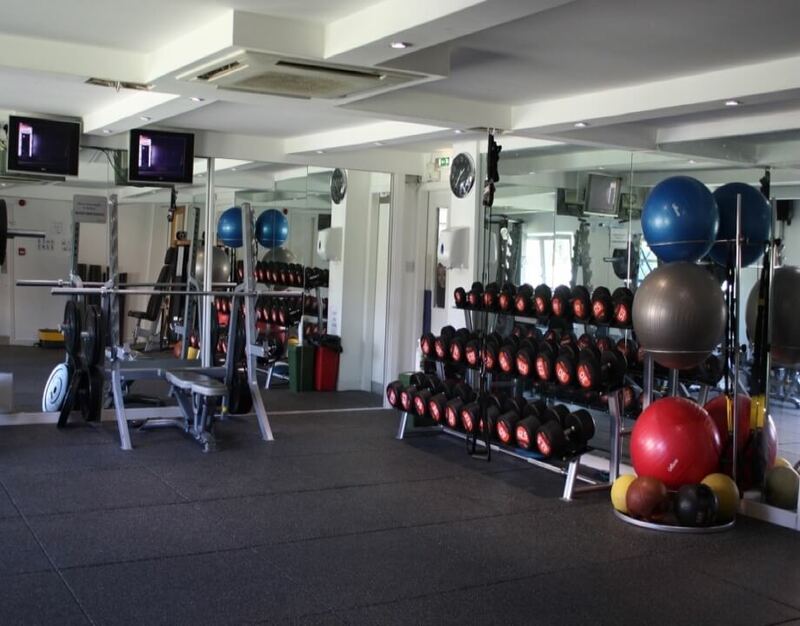 We have a wide range of fitness classes to suit every need and are open to both members and non-members. Graham Robertson runs cardio tennis on Wednesday evenings from 8-9pm. This is a fun way to get fit and you do not need to be able to play tennis to take part. It's basically a good workout on the tennis court doing lots of hitting and footwork drills to high tempo music on a boombox! Cost is £5 per session paid direct to Graham on the night. Email Graham if you have any queries or to book. Fuse together Circuit and Kettlebell training and you have a dynamite 45-minute class for complete overall body workout that gets you results! Whatever you goals or age this is a perfect class for building on body strength, conditioning & cardio fitness. Exercise stations are set up for all fitness levels with progression / alternatives for a truly inclusive approach. You'll be working different muscle groups and have fun along the way as a team........ an all-round challenge! Happy to answer any questions and look forward to hearing from you soon. For more information about me please read my profile on the Personal Training tab on the club website! Gayle is happy to offer a free class to all new members of the club. Just email to book a place! Oh Kami Karate Club was founded by Gerry McDougall, 5th Dan JKA, with clubs at western fitness club and Erskine promoting Shotokan karate which can be practised by anyone regardless of gender, age or physical strength. The Club welcomes all new members and enquiries. Pilates focuses on strengthening the deep core muscles building a strong centre, which supports the body in everyday life. Pilates tones the body by lengthening and strengthening the muscles, giving the body a longer leaner look, allowing the individual to benefit from: Improved flexibility, increased bone density, improved posture, and protection of the major joints and spine. Discover the benefits of pilates and improve your tennis/squash technique. More and more athletes are discovering the benefits of utilising pilates exercises as part of their fitness programme ,either for rehabilitation from injury or using pilates to strengthen the core and help prevent future injury. You too can benefit!! Come along and judge for yourself. Book a block of 6 classes and get one free or contact Jackie for a tailored programme combining class and personal instruction. A new Wednesday evening class will be starting shortly. Venue and time to be confirmed. Jackie is happy to offer a free class to all new members of the club. Just email to book a place! Western no longer organises a running session from the club but are delighted to support Victoria Parkrun. Victoria parkrun is a FREE timed 5km run that happens every Saturday morning at 930 in Victoria Park. Many of the club members take part and George Lambie who previously organised the running club at Western is one of the Event Directors. YOGA: improves circulation - stimulates organs - builds strength and results in better health. PILATES: makes you stronger longer and leaner - works on your core muscles and strengthens your abdominals and back. End the class with RELAXATION to release tension from your mind and body. Leave the class feeling energised and reinvigorated. 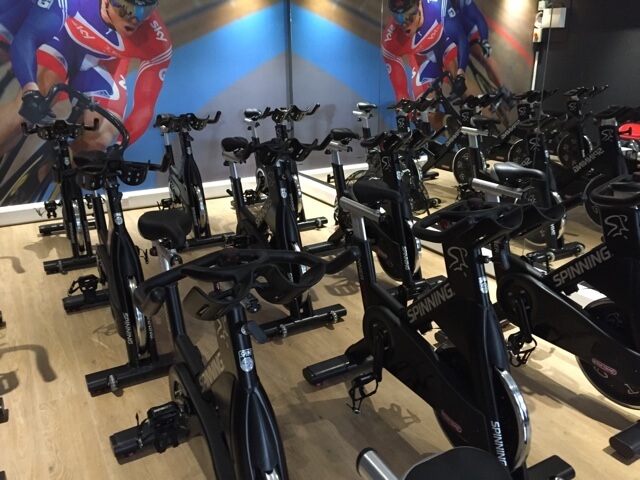 A studio cycling workout is one of the most intense fitness interval sessions available, with the beauty of the rider being able to tailor the workout to their ability by adjusting their own bike. Set to music, the workouts are fun and with our great instructors the 45 and 60 minutes sessions fly by! !